Olive Garden was launching lunch and needed a platform targeting millennial professionals. 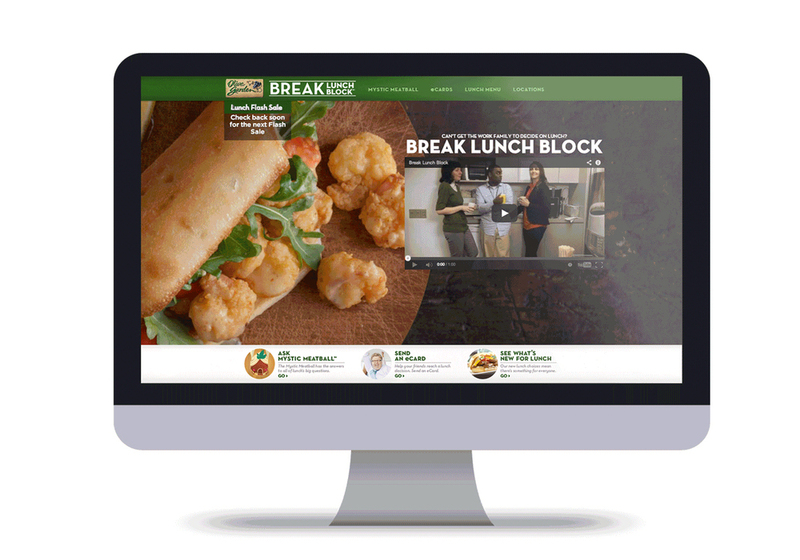 Introducing “Break Lunch Block,” a campaign aimed to help break that 12pm lunch block of where to go. With up to 70 lunch combination, obviously Olive Garden is the place to go with your friends, family, and work family. Along with a spot that was shown on TV and digital, came an accompanying campaign hub that featured a talking meat ball, ironic stock image e-cards, and a lunch flash sale. Olive Garden was launching a lunch menu and needed a platform targeting millennial professionals. 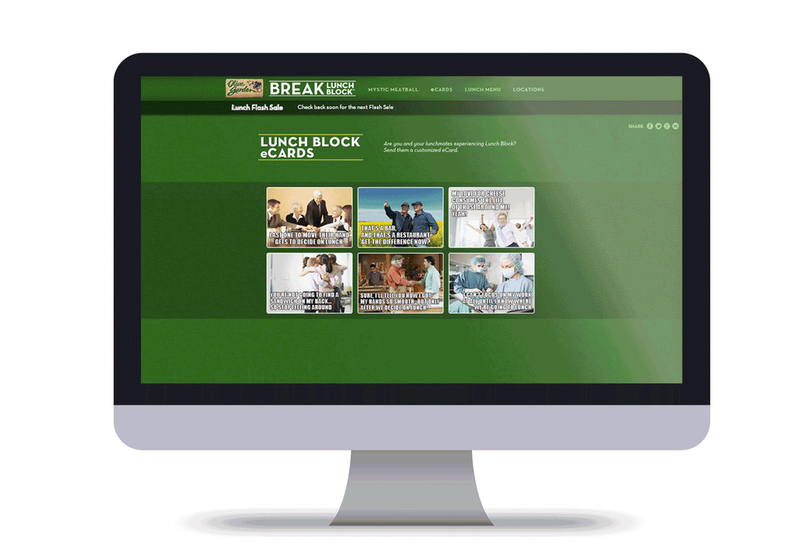 Introducing “Break Lunch Block,” a campaign aimed to help break that 12pm lunch block of where to go. With up to 70 lunch combinations, obviously Olive Garden is the place to go with your friends, family, and work family. Along with a spot for TV and digital, we created an accompanying campaign hub that featured a talking meat ball, ironic stock image e-cards, and a lunch flash sale.